SKU: mqcn2ll/a Category: Smartphones. 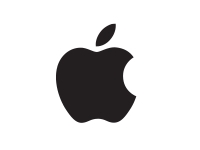 Brand: Apple, Sold by : Verizon Wireless Tags: A11 Bionic: Superhuman Intelligence., Adaptive Recognition, All-New Design, Animoji, Apple Pay, Apple-Designed GPU, Au, Design and Display. It's All Screen., Dual 12MP Cameras: The Art of Photography. Simplified., Dual OIS, Face ID: A Revolution in Recognition., Facial Mapping, Faster CPU, Improved Cameras, Innovative Technology, Intuitive Gestures, Neural Engine, OLED Designed for iPhone X, Optical Zoom, Portrait Lighting, Portrait Mode Selfies, Power Efficiency, Secure Authentication, Super Retina Display, TrueDepth Camera, TrueDepth Camera: Front Facing. Forward Thinking..